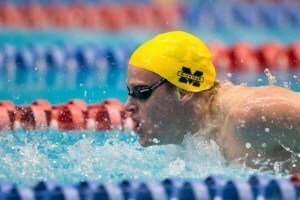 Michigan’s Anders Nielsen helped the Wolverines to a fourth place finish in Friday’s 800 freestyle relay after finishing second in the individual 200. Dylan Bosch won his third individual event of the meet with a pool-record 200 fly performance to help Michigan win its 5th-straight Big Ten title. Northwestern’s Jordan Wilimovsky took right over where graduated NCAA champ Connor Jaeger left off in the Big Ten distance event. In fact, Wilimovsky wiped Jaeger’s name off a record board. 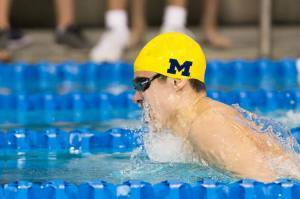 Richard Funk is the top seed in the 200 breast, one of 7 Michigan Wolverines in A finals tonight as the team looks primed for its 5th-straight Big Ten title. Day 3 of the Women’s Big Ten Championships is here, with the Minnesota women looking to build on their momentum and lead. 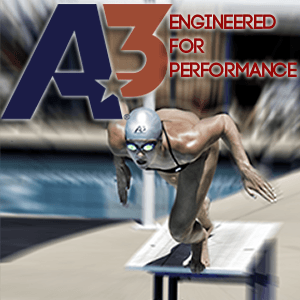 This morning features the 100’s of strokes, the 200 freestyle, and the 400 IM. Keep refreshing this page for live, event-by-event updates of all the Big Ten action. And don’t forget to check out our new live Twitter account, @SwimSwamLive, where we’ll be tweeting all the newest updates from Big Tens, women’s ACCs and the SEC Championships. A 4:08.34 carried Brooke Zeiger of Minnesota to the number one overall seed for tonight’s finals. On either side of her will be Lindsey Clary of Ohio State and Dorin Szekeres of Indiana, who finished in 4:10.12 and 4:11.14, respectively. Only Szekeres dropped time from her seed, dropping over six seconds from her 4:17.93 seed. Clary added about .2 tenths, and Zeiger added around two seconds. Rounding out the top eight are Aja Van Hout of Wisconsin in 4:11.49, Marn Oldershaw of Michigan in 4:12.79, Samantha Lisy of Indiana in 4:13.97, Nika Petric of purdue in 4:13.97, and Samantha Harding of Minnesota in 4:14.22. Ivy Martin put the NCAA A cut and meet record on notice for tonight’s finals with her 51.76. The Wisconsin senior was just .06 away from the A cut and .2 tenths away from the meet record of 51.56. 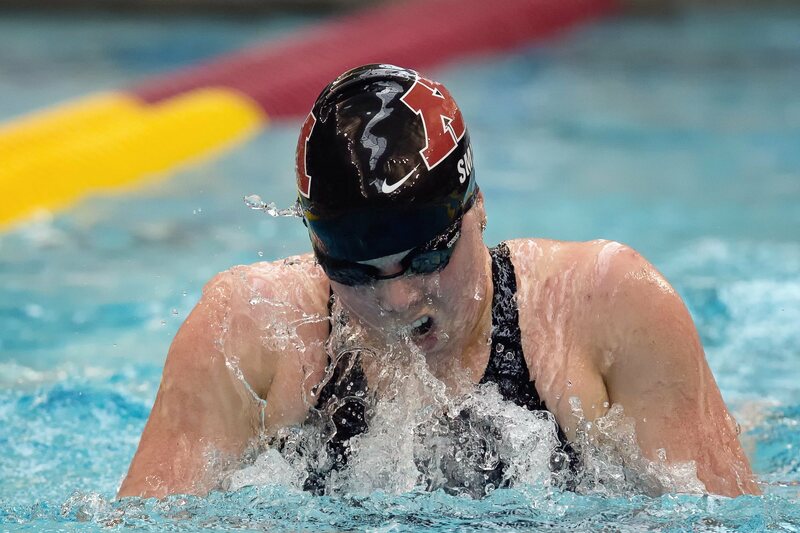 The biggest surprise from the women’s 100 fly was Aliena Schmidtke, who dropped over three seconds from her 55.61 seed time to finish in 52.38 to hold the number two overall seed. Schmidtke swam in heat 5 of 8, outside the circle seeded heats. Rebecca Weiland of Minnesota qualified third for the A final with a 52.49. She will be joined in the A final by teammates Tori Simenec, who qualified fifth with a 52.79, and Danielle Nack, who sits seventh with a 53:09. Gia Dalesandro holds down the number four seed with a 52.53 for Indiana. Dana Grindall of Wisconsin sits at 52.91 in sixth, and Purdue’s Alexandra Todd scored the last spot in the A final with a 53.48. Kylie Vogel, Taryn Collura and Carolyn Fittin, will battle for the ninth overall spot in tonights B final. Vogel, a Purdue senior, Collura, a Nebraska junior, and Fittin, a Penn State senior, sit at 53.48, 53.5, and 53.51, respectively, setting up what should be an exciting B final showdown. Michigan qualified just one swimmer, Zoe Mattingly, between the A and B final. Mattingly sits in 16th with a 54.35. A pair of Hoosiers will lead the way in the 200 freestyle final tonight, but they will be pushed by a Nittany Lion in a three way race for first. Kennedy Goss and Haley Lips paced the field for Indiana with a 1:45.16 and 1:45.19, respectively, although both women have been faster this season. Penn State’s Alyson Ackman will join battle with the Hoosiers after swimming a 1:45.24 in the prelims. she dropped just over .3 tenths off her seed time. Jessica Plant sits fourth for Minnesota with a 1:45.86. Behind Plant are a pair of Wolverines, Gillian Ryan and Claudia Goswell, who swam 1:46.10 and 1:46.15, respectively. Ryan was seeded at 1:45.24, so look for her to challenge for a higher finish tonight. 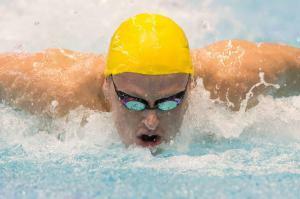 A pair of Purdue swimmers round out the top eight. Rhiannon Sheets and Abby Jagdfeld hit the wall in 1:46.29 and 1:46.49, respectively. Indiana will benefit from qualifying two swimmers for the B final as well. Delaney Barnard and Cynthia Pammett will both be back, seeded 12th with a 1:46.77, and 14th with a 1:47.19, respectively. Kierra Smith was the only swimmer under one minute in prelims with a 59.55. Smith has been slightly faster, seeded at 59.40, but was not pushed hard this morning, as Ohio State’s Rachael Dzierzak took the second seed with a 1:00.27. To her credit, Dzierzak dropped over three seconds off her seed time to take the number two seed. Iowa’s Emma Sougstad enters the finals in third, looking to crack a minute for the first time in her career. Sougstad swam a 1:00.29 for the third seed, but has been as fast a 1:00.14 this season. Ohio State also holds the fourth seed, with Ashley Vance hitting the wall in 1:00.95. Anna Meinholz sits sixth for the Badgers with a 1:01.13, followed by Taylor Cameron of Penn St. with a 1:01.19. Emily Fogle of Purdue and Emily Kopas of Michigan are seeded seventh and eighth for tonight with a 1:01.24 and a 1:01.26, respectively. The bottom four swimmers are all within .13 hundredths of each other, making this a very exciting race towards the back, especially with swimmers from four different teams competing for points. Michigan’s star freshman Clara Smiddy holds the top seed with a 52.01, but Smiddy will have to look out for Big Ten record holder Brooklyn Snodgrass of IU, who sits second with a 52.28 but has gone as fast as 51.59 this season. Regardless of whether Snodgrass wins the event, the Hoosiers will score big points as they hold four spots in the A final. Marie Chamberlain is seeded fourth with a 52.95, Justine Ress is fifth with a 52.96, and Alexandria Day will swim from the sixth spot with a 53.26. Michigan has a second swimmer in the A final with Ali Deloof in third in 52.78.